Allergies can be a big problem for kids. Learning more about allergies can help parents get their kids some much-needed relief. The first step in treating allergies is trying to make sure that your child really has allergies to begin with, as allergy symptoms are often confused with cold symptoms. 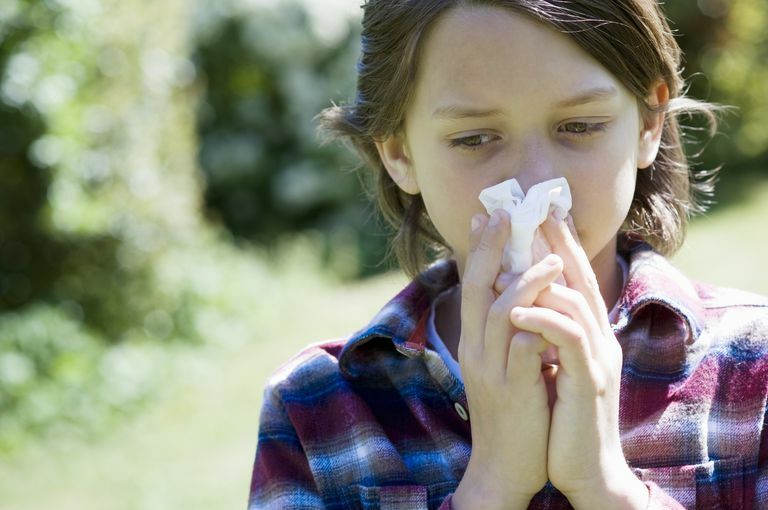 If your child doesn't have a cold, then he may have allergies. If your child eats a food that he is allergic to, he will quickly develop any number of food allergy symptoms, which can range from simple hives and vomiting to a life-threatening anaphylactic reaction. You can often tell that your child has seasonal allergies if his allergy symptoms start or get worse each year during a specific season, although that is sometimes hard to track. You may also notice that your child's seasonal allergy symptoms are better on days that it rains and are worse when it is dry and windy since pollen can move around better on those days. Learning to control these allergy triggers is important to reduce your child's indoor allergies. Since avoiding allergy triggers can be tough, especially if your child has seasonal allergies, many children with allergies require allergy medicines for allergy relief. Fortunately, a variety of allergy medicines available, even for younger children. Allergy shots are overlooked as an option to treat children with hard-to-control allergies. Some parents don't think that they are available for children, while others don't think that children will tolerate getting allergy shots every week. Allergy testing can be helpful if your child has hard to control allergies, asthma, or eczema. A pediatric allergist can be helpful to diagnose and manage your child's allergies. Still unsure whether your child has any food allergies? This quiz may be able to help!